After a strong comeback in the Indian smartphone marketplace, Motorola has launched their third smartphone naming as Moto E at an affordable price tag of Rs. 6,999 only. 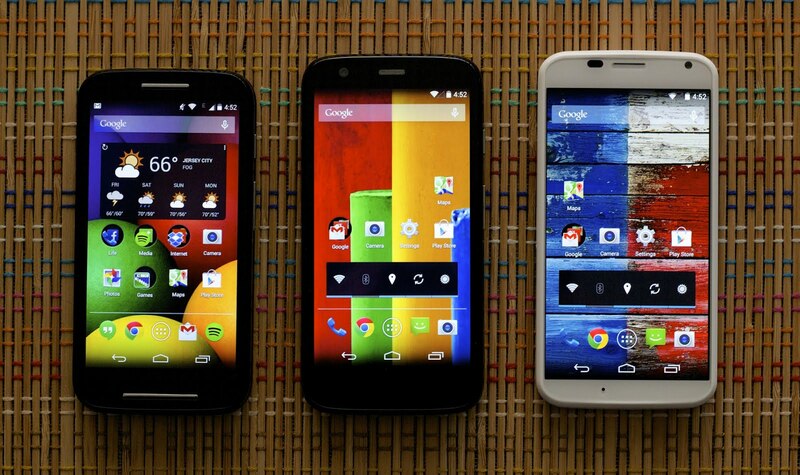 Earlier, Motorola launched Moto G and Moto X, which are doing great for the manufacturers. All these three smartphones were available exclusively on Flipkart, and they did exceptionally well. Both Moto G and Moto E went ‘Out of Stock’ in just a few hours after their launch. The latest Smartphone Moto E is one of the best powerful yet affordable Smartphone, available currently in India. This smartphone offers a tough competition to various budget smartphones coming from Samsung, Nokia, Micromax, XOLO and Karbonn. The huge popularity and great number sales figures prove that Moto E is currently the best budget Android smartphone selling in India. Moto E runs on Google’s latest Android 4.4.2 KitKat operating system. Also, the manufacturers have promised that this smartphone would be getting an OS update in future. The latest KitKat operating system features tons of the latest features, which take your Android Smartphone experience on to new heights. The hardware configuration in the all new Moto E is appreciable at its offering price tag. Moto E is powered by a 1.2GHz Qualcomm Snapdragon 200 Dual Core Processor coupled with 1GB of RAM and Adreno 302 GPU. This processor supported by 1GB of RAM is capable of running huge applications and HD games on the Moto E without any lags. The display of Moto E is protected by Corning Gorilla Glass, which is just great in this budget Smartphone segment. Moto E sports a 4.3-inch Capacitive Touch Screen display, which produces 16M colors, 540 x 960 pixels resolution at 256 pixels per inch. The Corning Gorilla Glass protects the display of Moto E against frequent screen damages. Moto E is built on a slim and stylish body design, which will make you feel different in the crowd. Motorola has not compromised with the build quality of Moto E. Also, the manufacturers have launched various colorful shells (sold separately), which are very attractive and vibrant. You can choose between 9 colorful shells, as per your preference. We liked all nine of them. The last reason which must be acknowledged is the strategic price tag awarded to Moto E. The manufacturers have followed the pricing strategy, which they did for Moto G as well. The Moto E is available at Rs.6, 999, which is a value for money deal. 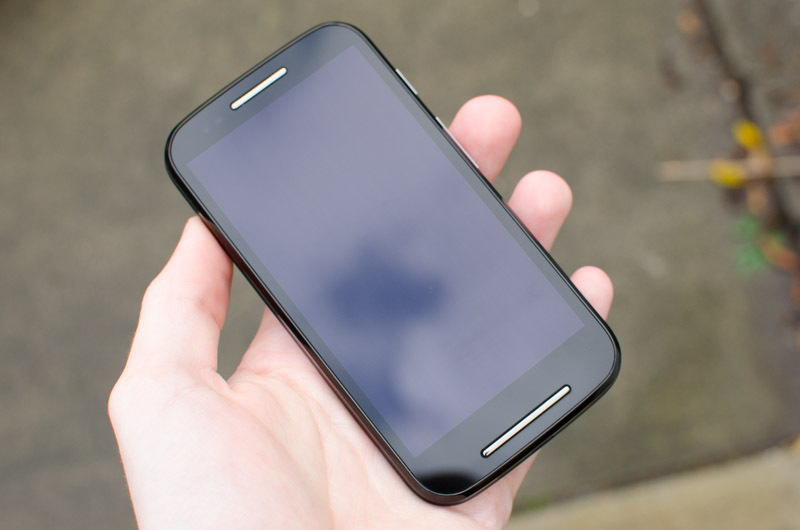 The price tag plays the most important role in making Moto E, a successful Smartphone. We don’t think there is any other better option than Moto E, at this price segment. These were the top 5 reasons Why Moto E is the best budget friendly Android Smartphone selling in India. If you are planning to buy Moto E, don’t think twice. You have made a right decision. The Co-founders of Innoz ,Deepak Ravindran and Mohammed Hissamudin are back with new question - answer app QUEST to help the people nearby to get questions answered for the members of its community. Innoz made it to the Limca book of records for being the largest offline search engine in last year. It had answered 1.3 billion queries from different 7 countries over its SMS bases platform called smart SMS. Innoz which is an SMS based platform might not be favourably positioned for the future as mobile Internet picks up increasingly fast in India.The hands behind this smart SMS have come-up with new idea of question and answer app making use of Internet facility. Quest is a location aware app, is now equipped with automatic geo tagging to help its users looking for people nearby to ask for the best places to visit, hotels, restaurants and other necessary informations. People can get to know about each and every matters either big or small by just asking them on this new app Quest. All you have to do is, to just download the app from Playstore. The application is powered by a large community of real humans modelling its algorithm based on real answers. Quest can be reffered to as knowledge messaging as it is one of the best and latest mobile question and answer app which seeks to help people connect to each other through knowledge. Normally if we want to know about anything ,people check it out on Google or some other sites,the answers provided in those would be correct but It may not be accurate,This accuracy can be achieved by making use of the app Quest. As the answers in Quest are being provided by the people of locality of which a question is being asked. Quest aims to stay away from the existing social networks by leveraging location-based geo tagging to identify its users who are best positioned to answer their questions .The question will also be tagged according to different topics and interest area .After a question is posted ,it is routed to the people who can answer it the best. It is now available in both Android and iOS also the new version will release shortly with new features Best answers and @mentions. 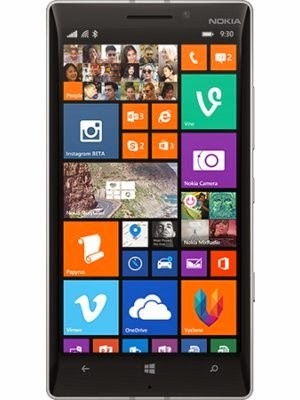 At the heart of Nokia’s recently released smartphone Lumia 930 lays the Microsoft 8.1 mobile operating system which will be released on June 2014. The Finnish phone maker has built this flagship product to compete against Samsung Galaxy S5 and Sony Xperia Z2 therefore the phone is not only heavier and larger than its competitors but also has top end software features. Inside the slim body with 5 inch AMOLED display lays the powerful Snapdragon 800 SoC processor with 2.2 GHz. At its heart lies the Snapdragon S4 Plus dual core CPU assisted by Adreno 330 graphics chip of power to play games and run videos with equal speed. An additional feature which increases storage and processing power is 2 GB RAM along with 32 GB of additional storage for specific mobile operators. The Nokia Lumia 930 is expected to be sold in India within price range of 40000- 42000 depending on accessories bought with it. Nokia has decades of experience making cellphones more than existing makers in the world’s and is even the first firm to use Microsoft Windows 8.1 refreshed operating system. 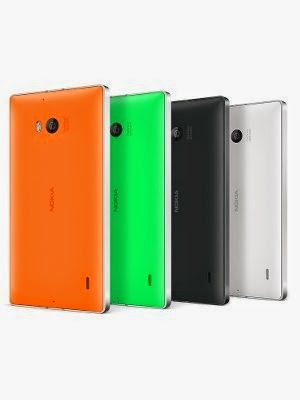 Targeted as a next in line successor to Nokia Lumia 9x line of devices the last of which was Lumia 925 the new Lumia 930 has additional features and is based on improved 8.1 OS of windows. This attractive looking phone made of single aluminum sheet to avoid sharp edges and has a polycarbonate sheet at its bottom. The phone is powered by quad-core Qualcomm Snapdragon 800 chip with 2.2 GHz processor and 2 GB RAM. The Nokia 930 has a 20 mp “PureView” Zeiss Lens camera with ability to click crystal clear photos with high resolution sensors to take pictures in poor light too. New model has been improved with a 5 inch long full HD display screen with two cameras and has aluminum cover making it more sturdy and easy to handle. Powered by a 2420mAh battery and wireless charging facility the phone can be used for long hours without plugging it for power. The Nokia Case CP 637 if bought with this phone it provides perfect protection against dirt through its microfiber lining. Its OLED touchscreen is protected by highly sensitive Gorilla Glass with scratch resistant coating and weighs only 167 gms. It has 2GB of RAM which can be enhanced with microSD card of 128 GB or more. 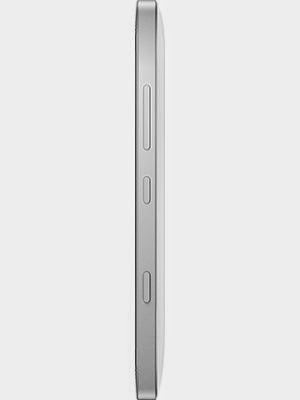 The attractive looking Nokia Lumia 930 phone’s body is made of aluminum metal which increases its durability over phones with hard plastic or glass body. Its 5 inch display screen has Full HD resolution with Nokia’s patented “Clearblack” display technology offering 180 degree viewing angle. Its rearside polycarbonate cover is available in colors of orange, green, black and white to suit people of all age groups. Its power button is located on the side with headphone slot on upper side with slots for inserting charger and MicroSIM also on left side. The Nokia Lumia 930 has windows based applications and also supports android features therefore one has access to One Drive, MS Office, Camera, Radio, Google Maps etc on same interface. High megapixel zoom and sharpness inducing algorithms make image editing an easy exercise while its Living Image feature turns static photographs into vibrant pictures. Internal storage is also managed with Bluetooth 4.0 32 GB internal storage system. Its image applications consists of camera, Nokia storyteller, creative studio and refocus which can used to mix your still photographs and videos to make a perfect home video and retain memories. Its sound system is sharp and clear due to perfectly positioned multi directional microphones which are digitally combined into twin output directional microphones. This form of stereo recording system captures clear sound for video recordings by capturing only sounds in front of the camera and blurring ambient sounds in the background. This rich sound system is enabled by 5.1 Dolby Digital Plus audio recording software and Nokia Lumia 930 is the first phone to use this software. This helps enhance video with surround sound effect taking video capturing to a whole new level as it can be played back in 5.1 Dolby Digital Plus format. 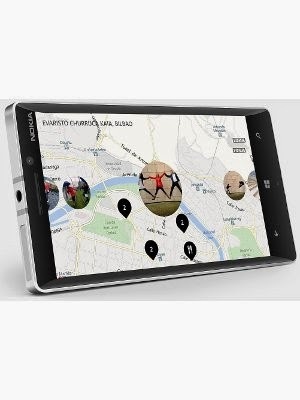 Being an Windows OS phone internet browsing on this is provided by Internet Explorer 11 which has a switch system to let users move keep home screen at width of 2 or 3 icons during browsing. Its camera application has filters to improve your image’s resolution and clarity before loading them on preferred social networking websites. It has built-in icons for accessing social networking sites like Facebook, MySpace, Flickr, Picasa/Google+ and Twitter. The best part about this phone will be its ability to use applications installed on SD card like VZ Navigation applications with grid and roaming territory maps. The Lumia Icon on this phone helps access proprietary software like MixRadio which enables music delivery through applications like Songza and Pandora. Every phone and its manufacturer has its own set of fans and critics and so does Nokia and its Lumia series of phones which has both low end phones and high end smartphones. Being a venerable firm which till recently was recognized for making sturdy phones with lots of interesting features it lost recognition and market when people started demanding smartphones with android and internet surfing features. It lost market share as it was not able to keep up with technology and now with mounting losses and sellout even die hard fans of the manufacturer have lost confidence in its products. However in partnership with Microsoft the firm has brought in several interesting smart phones which are slowly helping it regain its lost status and reputation. Even while making expensive smartphones the maker knows that it is the low end durable phones with basic features are what its customers’ desire therefore makes them too and tries to add latest features to make them viable. Whether this strategy of Nokia will help it through to manage competition and stay in the competitive cell phone market remains to be seen. Author Bio – The Author have great interest in handset and technology reviews. Currently he is working with 91mobiles. 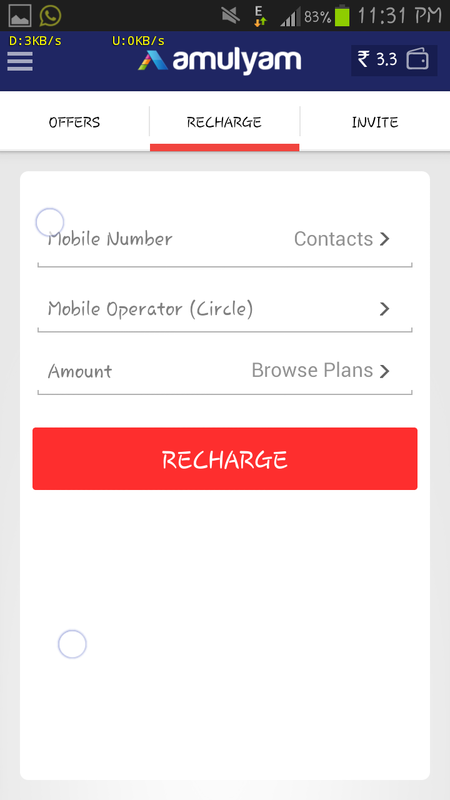 Amulyam is one of the trusted free mobile recharge earning app since 2010, they are already paid 1.7+ crore to their users.So you can trust this app at the core, in my personal experience money credits and redemption is very fast in Amulyam compared to any other paisa earning apps and also i never faced any pending redemption problem yet with this app. I'm already discussed about many paisa earning apps which pays you 10 paisa to 20 paisa for each swipe, but the Amulyam is different(get upto 5 rupees),it is not at all an unlock screen app, then you wonder how it pay us? Right? 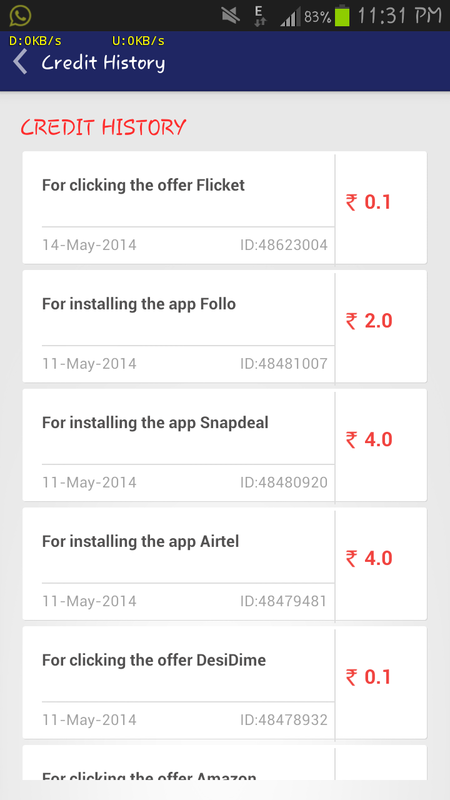 Yes.. this app pays you each app you download from Amulyam offer screen. Offer screen is daily filled with lots of offers, each offers pay range from 10 paisa to 5 rupees, many 1, 2, 3, 4, 5 rupees offers see from the offer screen,most of them are app install to get credits and some of them are register to get credits, both ways you will filled with credits on your account,there is one more way to get credits that is for checking mail coming from Amulyam, you will get 5 paisa to 25 paisa for checking and visiting mail links. 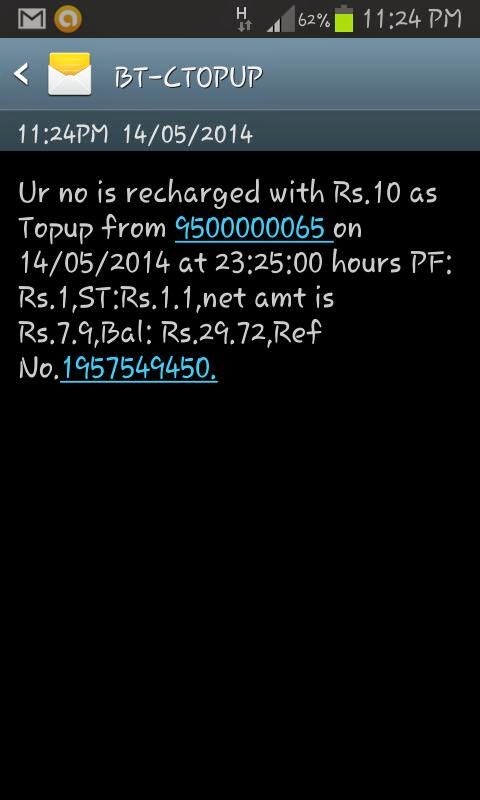 The most interesting thing is that redemption amount minimum is only 10 rupees,that means you can recharge it when your credits reaches just 10 rupees, and no longer waiting for redemption, it takes only few seconds after you request for recharge. 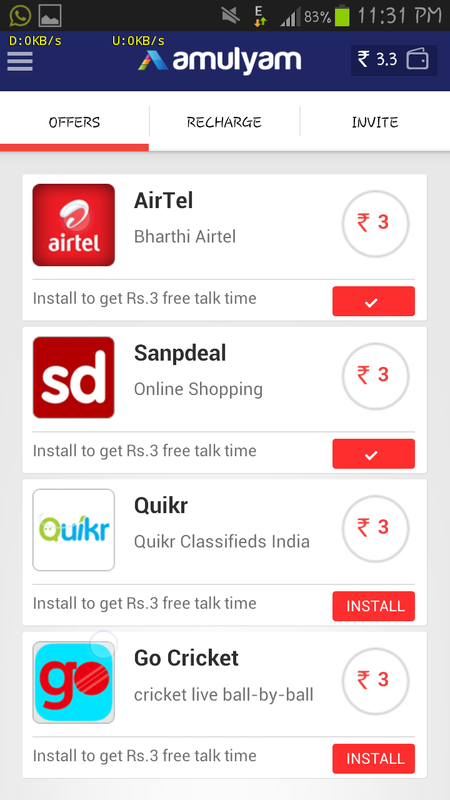 There is a invite tab next to recharge tab which helps you to refer your friends and they gives 3 Rupees for each you refer. KwickAdd is one of the new, leading and trusted mobile lock screen application which gives you some bucks when unlocking the lock screen. Download this exciting new app delivers you interesting home screen ads, offers, events and daily tips right from your mobile screen. With every swipe you will get 0.15 paisa to 0.20 paisa and it can be redeem to mobile top-up or postpaid bill. Only 3 ads appear for 3 hours and can be set into 1 or 2. You can redeem it into prepaid and postpaid bill. Only 10 rupees required for redeem. User can costomize ad appearances. No invitation rewards till now. This paisa earning app is different from all other type of unlock screen app, that is ads will appear only after you receive or dial a number from your mobile phone. The ads will starts to appear after you complete your talk.Just clicking the middle button or pressing the back button you will credits with Myscreen points, you will get 10 points for each time you see ads,later you can redeem these points to mobile top-up or postpaid bill. Download this awesome paisa earning app now and start earning. You can visit the advertiser website just from one click and can call their toll free number for additional information s.
You can choose ads by interest basis, only relevant ads appears on home screen. You can also get to interact with the ad in several ways e.g. Try a free sample, Buy the product, Locate a nearby store, Visit the advertiser website to know more or Call to them. Go to Google Play Store Search for Feat Vpnfor android. Install Feat Vpn in you android device. Add Airtel 3G VPN Config in Feat Vpn folder. Download The Attachment of Airtel 3G Trick . Paisa earning apps are very popular nowadays, we are already discussed many apps with the same category.Now I'm going to tell you a new app that helps you to recharge mobile, DTH and transfer money to your friends mobile or bank account. Basically Happay is a bill payment app or mobile recharge app via credit or debit card that is the one app for all bank and all networks. The most interesting thing is they offering a referral program and you will get 10 rupees instant credit when you refer one person to Happay (that person must download the app and need to enter your referral code) and you can redeem this money any time with mobile top up, that is the minimum payout of Happay is 10 rupees you can easily achieve this by referring one person to the Happay. NOTE:Please read throughout this article that I explained how to get UNLIMITED free Happay 10 rupees referral bonus using different mobile number. 1. Download the app from Playstore. 4. 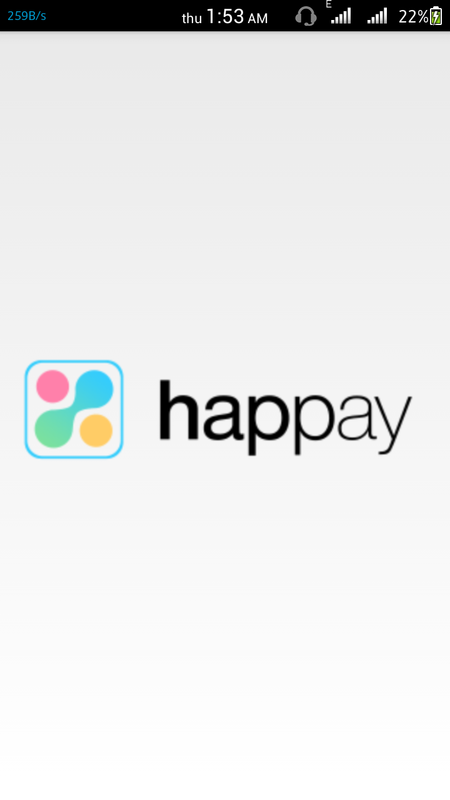 After this step you will get two confirmation message from happay and one of the message contains a transaction pin, you must enter this pin when the time of recharge or transfer of money, So keep it as safe. 5. 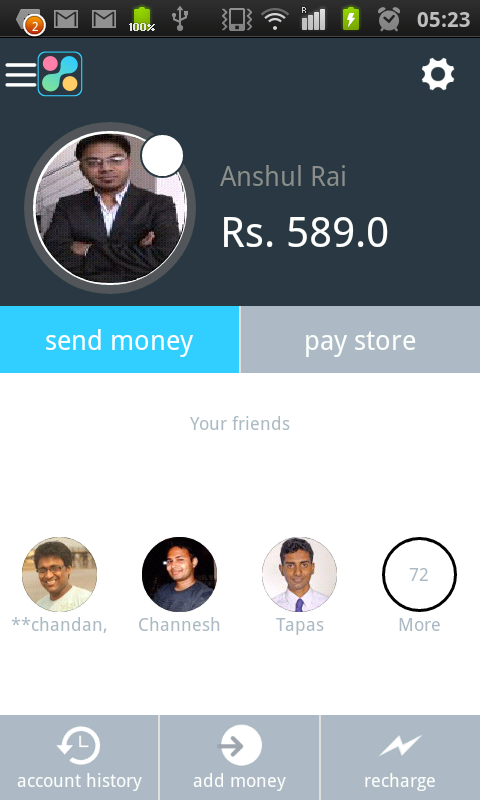 This is the earning steps of happay!..You can find a invite friend field from left corner of the app. Now send the invitations as much as you can and earn big! If you want to know more about how to use bluestack PC emulator please click here. 3. Now the times to install happay on emulator and use another number and email id to register and enter your referral code on it and you will successfully get 10 rupees referral bonus instantly. 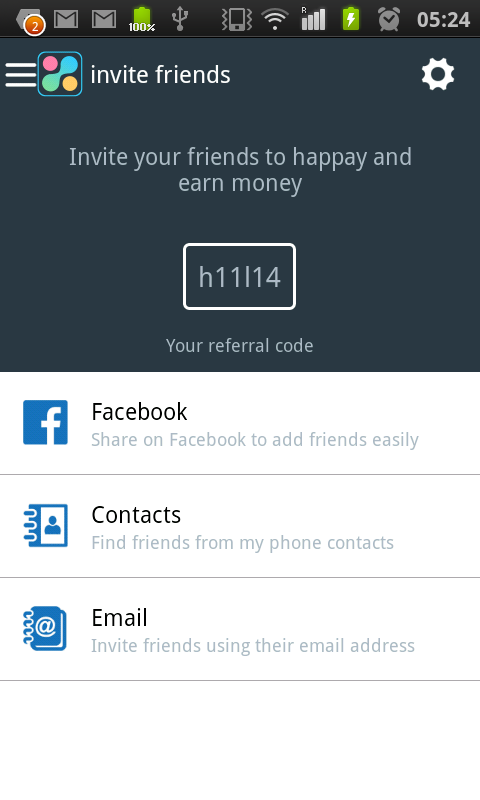 You can find your referral code from Invite Friends Section. 4. Now follow the steps using different mobile number to get more credits. NOTE: You must reset the emulator after every successful registration. If you have any query, comment us below.